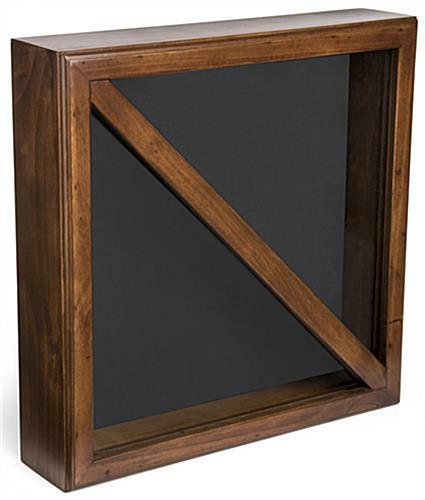 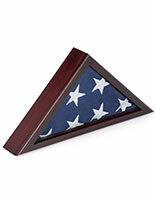 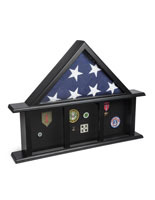 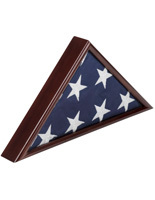 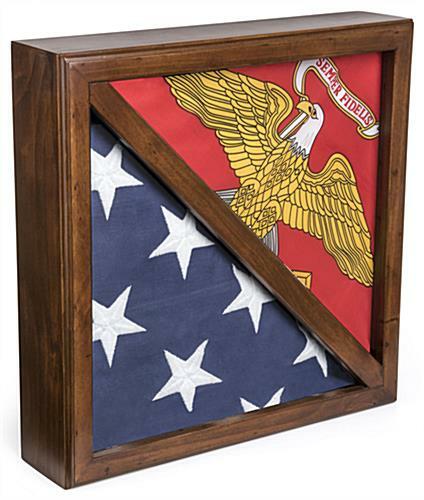 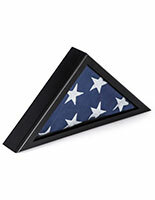 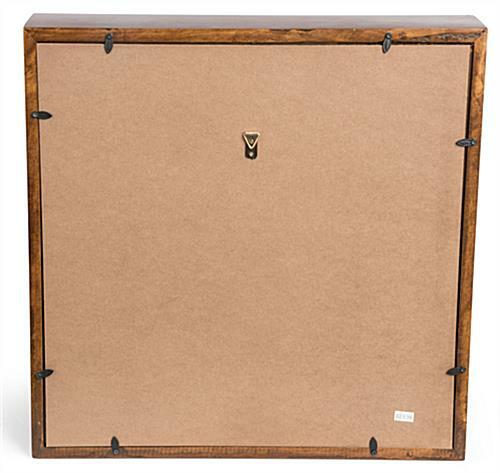 Place two 5’ x 9.5’ American banners or military medals in this 2-flag display case for a sophisticated memorial unit. 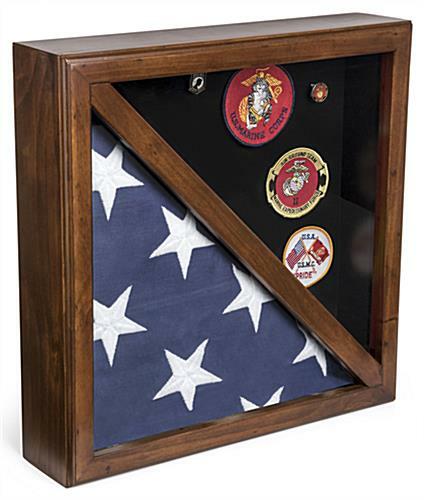 The solid wood build and tempered glass front on this shadow box will protect the memorabilia inside as it rests on your mantle or hangs on the wall. This cherry display case has a felt backing for a classy backdrop to military medals or use to showcase two memorial banners. 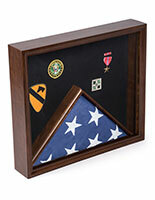 The rear loading design allows you to easily create a custom commemorative piece for the veterans in your family. 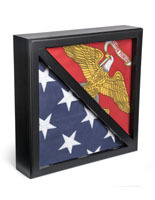 This shadow box has a wide base for tabletop use and hooks adhered to the back for wall mounting. 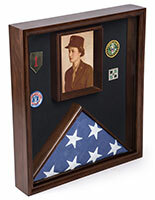 Commemorate veterans with this display case. 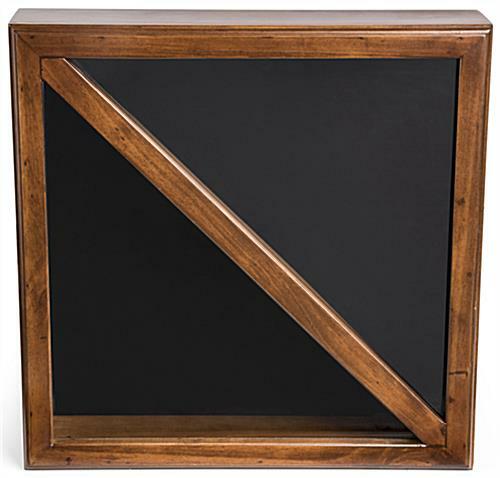 17.6" x 17.6" x 23.8"